Developing a good customer retention strategy is key for any business. Although companies focus their efforts on generating business from new customers, keeping current customers is even more important. Customer retention equates to increased long-term revenue creating a more profitable brand. With hundreds of brands available to consumers, how do you keep your customers loyal to yours? Big Data, Data Science and Artificial Intelligence are keys to providing a tailored, or personalized customer experience. Knowing as much as possible about a customer, such as their needs and thoughts, is of utmost importance and will aid in customer retention. Behavioral data is one of the most powerful weapons in marketing. Collecting and analyzing data from customers is pertinent in creating customer acquisition and retention strategies. Event tracking and real-time analytics tracks every mouse click, page view and download. 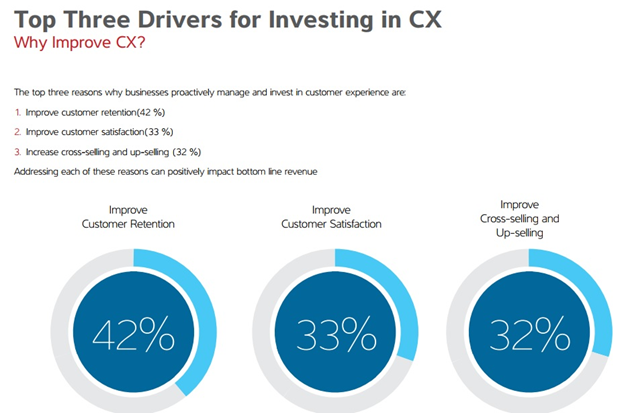 When prospective customers finally turn into customers, businesses don't just get more recurring revenue at the end of the month, they create an opportunity to build a unique experience for each customer acquired. With a data-driven, behavior based analytics strategy, it is possible to understand what makes customers stay loyal to a company for a longer period. It also allows businesses to improve touch points and resolve bottlenecks in the customer journey that may be responsible for customer churn. Any marketing professional must be aware that they are dealing with individuals, and every individual appreciates being treated specially. This is where customer experience comes into play. Customers need to know that businesses understand their needs and are doing everything they can when issues arise. To improve customer experience, businesses need to exhaustively analyze customer data. Businesses need to know their customers, their background, common behaviors, necessities and desires. With the right data in hand — automation flows for different segments and different actions can be built to deliver customized content. Customers interact with brands through a higher number of channels; however, it is costly and time consuming to create personalized content for every channel and every customer segment. 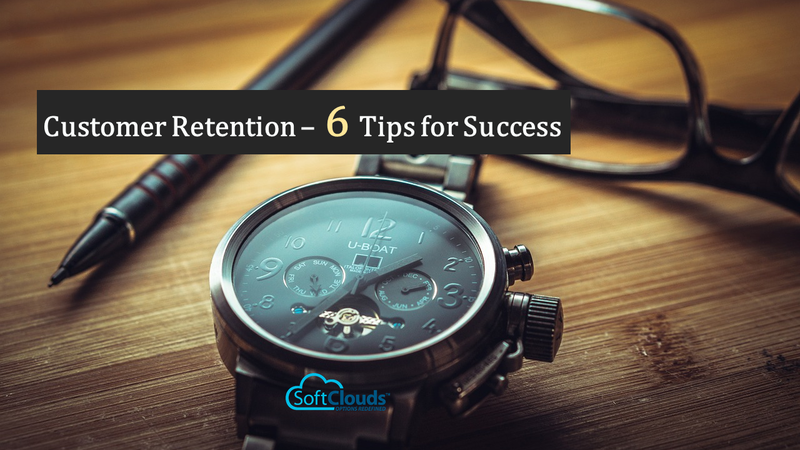 The ability to segment customers and send correct, fully personalized message(s) at the most appropriate time is imperative for retention. To help with frustrated customers, consistent presence across all customer service outlets is pertinent. Retention and engagement rates may be increased by promoting 1:1 communication with each customer. The biggest benefit of live conversations is the possibility to offer real-time help and guidance. One way to grow customer retention rates is to combine the use of emails, text messages, and in-app notifications to retain customers looking for immediate help when needed. Since in-app messages and notifications can be personalized and are hyper-segmented, there's a better chance of impacting the right customers and users with the message. Every customer touchpoint matters, and they're crucial to build a valuable relationship between a company and a customer. Building a great customer relationship by personalizing customer service channels will help create happy customers, thus increasing your company's customer retention rates. A customer journey map focuses on telling a user's whole story from the motivation that led users to find a product and how they found it. It includes their first contact with the product, the moment they purchased it, the engagement and relationship with the company, and the users' evaluation of the product. It also includes feedback — the way users recommend the product and what's encouraging them to keep using it or paying for a service. Aside from understanding user behavior, customer journey maps can be used to find points that need improvement and problems that need to be solved. Mapping helps to identify when customers are most likely to stop using a product as well as allowing businesses to analyze how to retain customers. It's hard to know how well businesses respond to customer concerns when the viewpoint is an insider's perspective. Look for feedback across all touch points. Taking the time to create a survey or a poll helps to get a more accurate impression of what businesses can improve on. However, feedback received must be acted upon. Customer surveys serve two important purposes in customer retention: First, they remind customers of a business relationship. If nothing else, customer surveys at least keep the business in contact with its target audience. In addition, customer surveys also demonstrate seriousness about brand experience. Asking for feedback means there's a desire to improve business operations. Taking steps to incorporate customer suggestions shows dedication to customers. The more exposure customers have to surveys, like including a link in an email and on social media profiles, the more likely customers will respond. It's important to keep all the open conversations between customer and company together in one place. Marketing and customer success teams can use this information to keep track of how effective their strategies are. To retain customers, companies need to learn how to engage them for the long haul. Personalization is one of the best ways to engage customers, generate more sales and keep customers loyal. In fact, brands that send personalized emails deliver six times higher transaction rates compared to non-personalized emails. Email is the most effective platform to improve customer retention. Unlike social media, companies can send personalized messages to individual users based on their order history and preferences. The mistake most businesses make is sending cookie cutter messages to an entire subscriber list. Users can spot these emails from a mile away, and most won't even open them. Personalized newsletter content tailored to each recipient, greatly improves the chance of repeat customers. Likewise, sending emails that are timely, personalized, and relevant, like those containing product recommendations based on previous purchases, is another way to increase retention. Rewarding customers who have been loyal to a brand shows that a company cares and values their business. Loyalty programs, like those that reward loyal customers with free merchandise or coupons, is another way to stimulate repeat business, like presenting customers with discounts or gift cards on birthdays or other special occasions. Another strategy is adding loyal customers to an upsell flow by providing better/additional benefits. An offer with a special "loyal customer" discount is a personal way to grow customer retention rates. Customers appreciate knowing that businesses are aware of their loyalty and are given special offers. Personalization is a strategic tool for differentiation, especially when competition is keen in the market. By addressing these key points, businesses can strengthen their brand. This means customers will most likely become a highly valued commodity — the repeat customer. Happy customers are great references and are the best brand ambassadors because they are likely to share their opinions with others. According to AllBusiness.com, dissatisfied customers tell over 20 people about a bad experience, compared to only 9 who tell others about happy experiences. Therefore, creating a great experience is of utmost importance and one of the least expensive marketing tools to grow your business. Improving customer retention takes years of patience, practice and planning. It is not easy and loyalty will not be created overnight. However, by executing some of the tips mentioned, great progress can be made. Do you have any other tips/ideas to improve customer retention?